Silver Saver ® is a 40 lb. /57gsm bleached kraft, coated with a chemical formulation which protects silver, gold, and noble metals from tarnish by absorbing hydrogen sulfide and other elements in the environment. 36 inch x 200 yards long rolls. Click on the purchase button below to add Silver Saver Paper Rolls to your shopping cart. 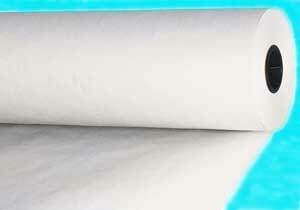 48 inch wide x 200 yard long rolls. Click on the purchase button to see the price in shopping cart. Click on the 'Add to cart' button to see the price in cart. Silver Saver ® Paper Bags 4 x 6 inch bags, 1,000 bags per carton. Silver Saver is formulated to prevent tarnish and corrosion of silver materials. Select the number of cartons you want and click on the purchase button to see price in cart. Click on the purchase button to see price in cart.